EID Architecture recently won the first place in the International Design Competition for the OCT Xi’an International Culture Center and became the official designer of this large urban complex. 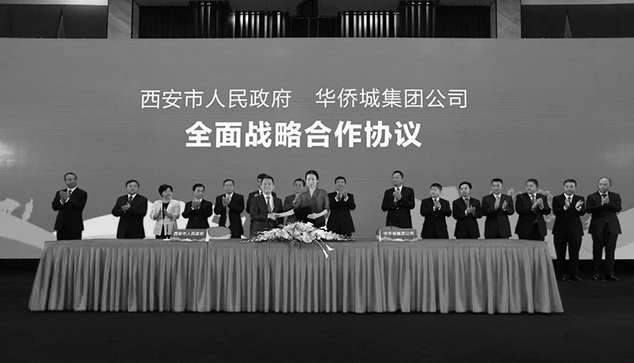 With the OCT successfully winning the bid for the core plot on the central axis of Chang'an, the China OCT Group's first brand exhibition hall in the northwest strategic market -- "OCT Space" also officially made its debut to promote the official launch of the OCT Xi'an International Culture Center. The OCT Xi'an International Culture Center is located in Xiaozhai business district, the core business area of Xi'an. 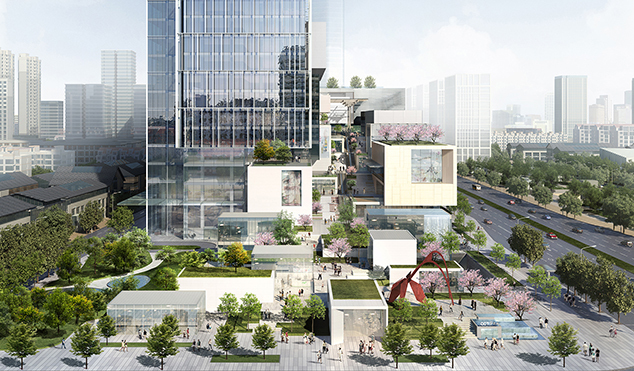 As the first landmark commercial complex project of China OCT in the northwest market, it is a full-service mixed-use complex specially tailored for Xi'an featuring the integration of a shopping center, a Grade A office building and a hotel. The project site covers an area of 20,611.56 square meters, with a total built area of approximately 400,000 square meters. The project site is located on the eastern side of the Chang'an Road on the south-central axis of the center of Xi'an and is within the walking distance to the historical ancient city walls. 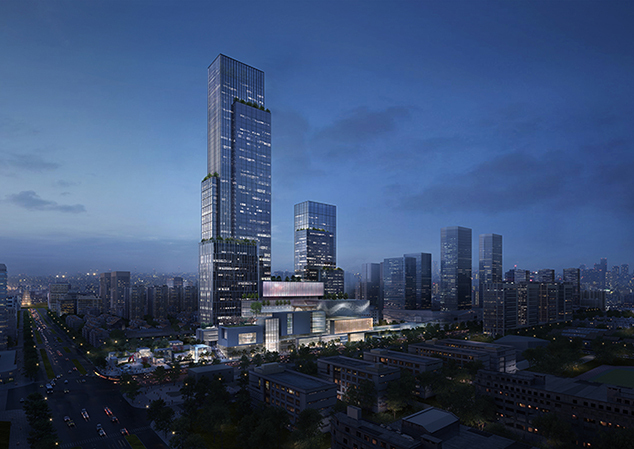 The project comprises a 318 meter tall tower, consisting of office areas and a boutique hotel, a 180 meter tall service apartment tower, and a twelve floor podium containing extensive retail and entertainment areas. With the concepts of “Culture" and "Cultural Creativity" as its core, the project aims to achieve the organic integration of the architectures, city park and public art with its innovative architectural design. These program components are carefully and strategically organized in both vertical and horizontal dimensions, creating a vibrant urban center which is permeable and porous at the base. 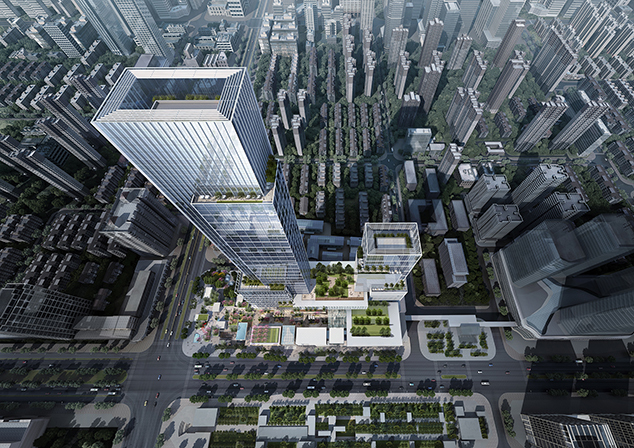 "The design for XICC is intended as an exploration of vertical urbanism and offers a new solution for high density urban mixed-use in Asia. 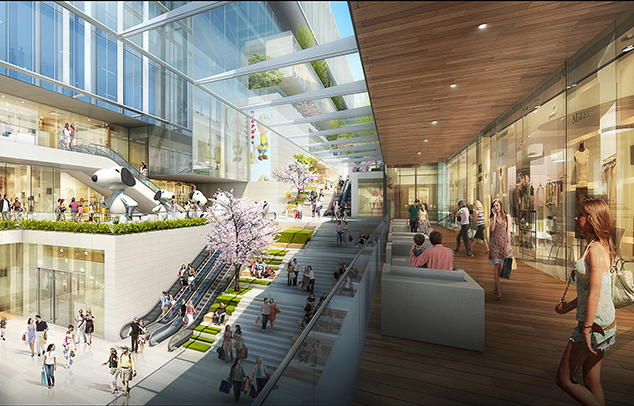 With its vibrant and unique mix of program combining retail, office, residential, museum, theater, hotel and entertainment venues, XICC creates an urban oasis both sensitive and culturally significant to the city of Xi'an.” says Ping Jiang, AIA, Design Principal of EID Architecture. Grounded in the city's history and leading the way to its future, the project offers a spatial quality, a formal composed beauty, programmatic opportunity and a natural porosity and permeability from holistic perspective within a high density development. 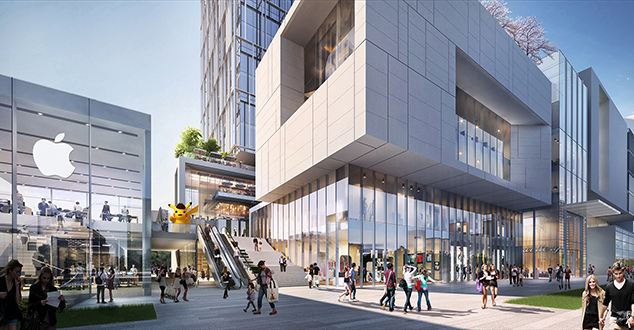 Combining a modernity and contextual humility attributable to Xi'an, XICC is poised to become a signature landmark for the city, and a prime destination to live, work and visit. The project is expected to complete by 2022.